Your coach gives you a swim workout made up of a warm up, drills, sets, etc. How are you supposed to remember everything once you’re in the water? • Print the workout with your printer and put it in a ziplok bag. • Write it down on a piece of paper or postit note with ball point pen, get the paper wet, stick it to a kickboard or pull buoy that you’re not using, and prop it on the pool deck to read. Good paper will usually last the length of the workout. • Put your phone or tablet in a waterproof case and display the workout on the screen. • Write it on an underwater writing slate (the kind sometimes used in scuba diving). • Memorize the workout along with the intervals. How do you do it? Any other ideas? Tomorrow at 9:00am west coast time Ironman will announce who will receive the Legacy Slots that send 200 eligible athletes to Kona. I applied at the end of last year and am in the cue for a slot. The slots are not awarded by merit or how close you got to qualifying or how wonderful a human being you are or anything like that. You simply become eligible when you finish 12 Ironman full distance 140.6 mile races. When you do 12 you can submit your qualifications, listing the events you did, etc. and get put onto the list of athletes according to when you submitted your Legacy slot registration. I wrote about this after Ironman Arizona last November but here’s my Ironman history in a nutshell. I’ve finished 12 Ironmans. My first one was Ironman Arizona in 2009. I’ve done Ironman Texas twice, missing a Kona slot by one place at the first Texas race. I’ve done Ironman Chattanooga twice, finishing 4thlast year. I’ve done Arizona 8 times now, with my best finish there also being 4thin 2017. My goal has always been to qualify for the Ironman World Championship and go to Kona. I never expected it to take so long or to be as difficult as it was. I have always had other goals for each and every race but of course Kona was always the dream. Now I’m in an odd position. The goal, the dream, for now anyway, is no longer there to drive me. That goal has been part of my thoughts for 10 years. Last fall was a whirlwind finale. Ironman Chattanooga was the focus: fundraising, training, planning, aiming to win my age group and earn a slot. The swim, my strongest discipline, ended up being cancelled. I wouldn’t have won anyway but might have moved up a place (or 2?) from 4th. Less than 2 weeks later we went to Kona to support another athlete in her first chance to race there. I had always said I didn’t want to go until I qualified but having an athlete there was probably the only thing that could have changed my mind. I was very grateful that I got to go and share the experience with her and I learned a lot but it did alter my mindset a little. Finally, the next month we were off to Arizona to race a 2ndIronman just 7 weeks after Chattanooga. My resolve, determination, and drive were not the same and it showed in my performance. 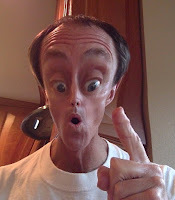 So now I wait to hear if I’ll be racing in Kona this coming October or if it will be in 2020 or 21, I’m not in a hurry. I have mixed feelings about it all. That’s because it’s not the way I dreamed or imagined I would get there. It’s not what drove me to put in all the work. Don’t get me wrong, I am grateful for the opportunity and the privilege to possibly get a Kona slot. They are VERY hard to get. And I’m sure I will be excited and anxious and happy I get it tomorrow. But there’s also going to be a part of me that’s a little sad and disappointed. The emotions are just not the same when you compare receiving a legacy slot versus winning your age group at a race, showing up for the Kona slot “rolldown” procedure, and registering for the Championship after standing on top of the podium for your age group. I’m not looking for sympathy here. I’m not posting this on Facebook either. Many may not understand this but it’s my truth. I just wanted to put my emotions down BEFORE the announcement because, who knows, I will probably feel a LOT different when they offer me a slot to the Hawaii Ironman World Championship! Set new, more realistic or motivational goals. Do what you can to get your workouts in as scheduled. Even if you can only do part of a workout. DO NOT beat yourself up over missing or having to compromise your training schedule. While missing workouts and having inconsistent training is not ideal, it will not automatically ruin your race goals. Life happens. Let it go and focus on doing the next workout. If you don't let it go then it's like missing TWO workouts. Look at the next workout and decide what the goal or purpose of it is. Do what you can to execute it perfectly and draw satisfaction from that. Listen to your body. Sometimes you should miss a workout because you're tired, fatigued, stressed, excessively sore, or for some other reason. Fitness gains come from appropriate training + recovery/rest/sleep. Ask your coach for guidance (if you have one). Shift workouts around if that will lead to more efficient use of available time. E.g. swimming at a pool usually requires travel time and shower time. There are scheduling limits due to lap swim hours. Riding for an hour on a trainer at home could easily take less time than a 1/2 hour swim. If options are limited, it can sometimes be okay to "stack" workouts. In other words, make 2 workout sessions into something of a brick session. For example, swim before a ride. You don't necessarily have to quickly move between workouts like you would for a true brick - take your time (if you have it), get some nutrition in, recover/rest a little, and then move on to the bike. Are you looking ahead and seeing a week of landmines? Find out what the most important workouts are for crossing finish line. Make those the priority when you can't fit it all. Can you only find 10, 20, or 30 minutes at home? Do some core routine or strength training or dryland swimming at home, even in front of the TV. Sometimes the key to success is simply to adapt and move forward. Sometimes it's smart to reevaluate and adjust. Sometimes it's about setting SMART goals that motivate you. And sometimes it's just about giving yourself a kick in your backside. I'm a week late but I just submitted my application for the Ironman Legacy Program to get into Kona based on completing 12 Ironman 140.6 races. It's bittersweet as my goal for the past 8 years has been to qualify outright by placing high enough in a race to earn a slot. I never quite made it. t "In 1986 my ulcerative colitis was so severe that my only real option was surgical removal of my large intestine. I began triathlon in 2007, not sure I could possibly finish a sprint race. I did my first Ironman in 2009 and dreamed of going to Kona. 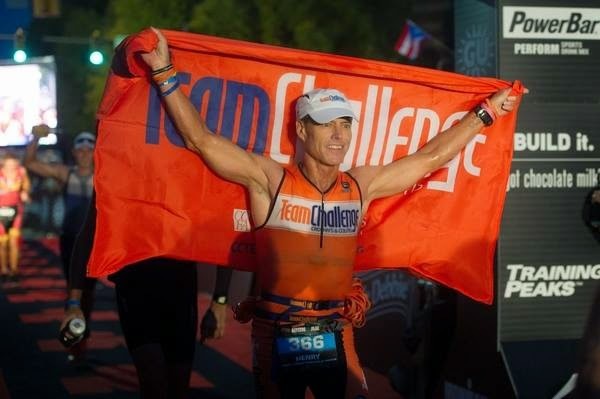 On March 10, 2012 I had a vision of me crossing the finish line in Kona wearing my (Crohn's and Colitis Foundation's) Team Challenge orange race kit and carrying the flag, hearing Mike Riley call out my name again. I had this vision while listening to Chrissie Wellington speak at Endurance Live awards in Los Angeles. It has been in my mind ever since. 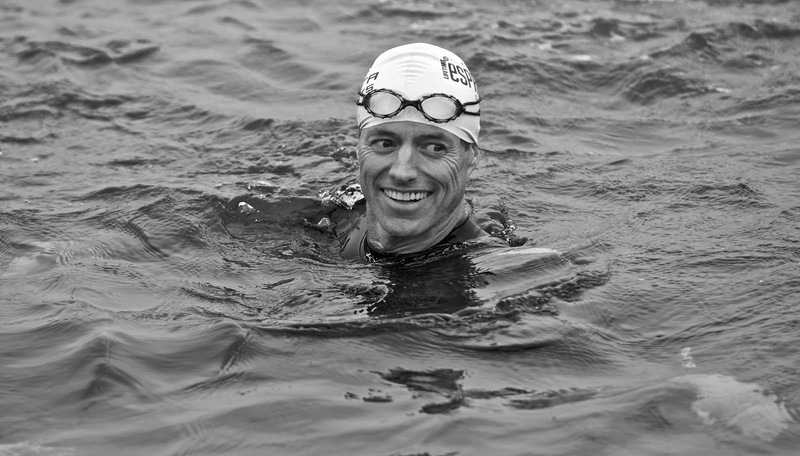 Triathlon and Ironman training have been a lifestyle for me for the past 10 years. It's my fountain of youth. I also coach beginners and intermediate athletes. Some of them even come to IMAZ to get a taste of the Ironman experience. I've helped inspire dozens to go beyond a sprint and take on a 70.3 or full. My passion as a coach is to help people overcome fears, change their beliefs about themselves, and help them be successful." The slots are announced on February 28th. It may take another year or 2 before it rolls down to Linda and I. In the meantime I'm signed up for IRONMAN Arizona in 2019. I am incredibly blessed and so grateful to everyone who has in some way chosen to be a part of my Ironman obsession and my quest for Kona.